Silence can be a powerful weapon. 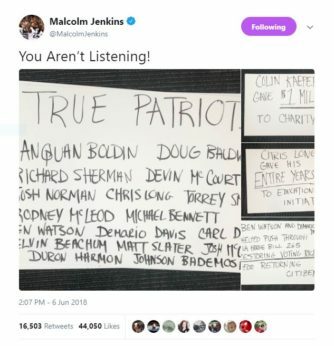 It was one strategically used by Eagles’ safety Malcolm Jenkins in response to the Super Bowl champions’ dis-invitation to the the White House. 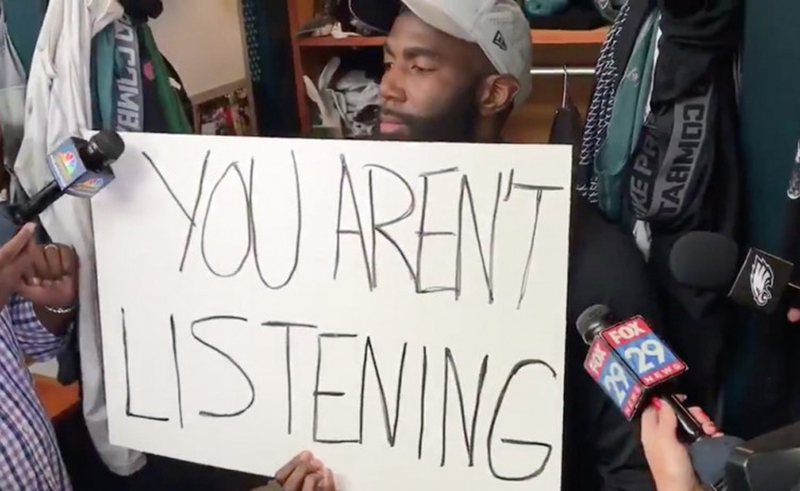 A day after the Eagles were snubbed by Donald Trump, Jenkins held up about a dozen hand-written signs Wednesday, standing silently as reporters lobbed question after question. Jenkins, a player activist and leader on the players’ committee working with the NFL to establish social justice initiatives, raised his fist in protest during the national anthem last season, in solidarity with Colin Kaepernick’s take a knee anthem protest against racism and police brutality, and made it known early on that he would not visit the White House. Jenkins’s silence spread throughout the locker room, and around 75 reporters left that day with many unanswered questions. Players refused to go into detail about conversations regarding the White House trip or their personal thoughts on Trump. A few veteran Eagles—offensive linemen Jason Kelce and Brandon Brooks and tight end Zach Ertz—who spoke briefly with reports did not confirm whether they had planned to visit the White House before the trip was canceled. The press conference marked the first day players spoke to the media since White House press secretary Sarah Huckabee Sanders said there was a “lack of good faith from the Eagles during discussions leading up to the event” and accused the team of pulling a “political stunt” by telling the White House only a small number of players would be attending. “It’s not a stunt or anything like that,” said Brooks. The only political stunt was the one pulled by Trump, and it was an utter failure, similar to his administration. 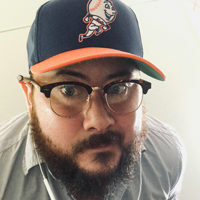 According to a source who spoke to ESPN, the team had been discussing for weeks how to best approach the trip and make it an experience all players could agree on and share. A large group of players—including most of the Black players—decided not to go in the end. Eagles players—union members—said this issue isn’t a dividing force for the team because they are already unified. “The objective wasn’t to win the Super Bowl so we could go to the White House,” said Kelce. Now let’s wait and see how the White House will spin this.